Leather Workshops at Hardwick Park’s Mongolian Yurt! Evancliffe Leathercraft have been invited by Hardwick Park to deliver Leather Workshops in their Mongolian Yurt. The Hardwick Park Yurt, one of the largest in the region, can accommodate up to 60 people, however, numbers for the Leather Workshops we intend to host there will be much much smaller. 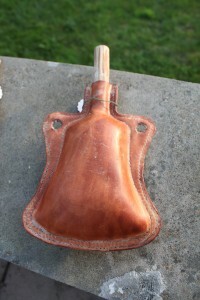 In fact, our Leather Workshops will each be aimed at a maximum of 5 people. With colourful bunting and a wood-burning stove the weatherproof Yurt provides an ideal place for craft and educational activities even on a cold day! 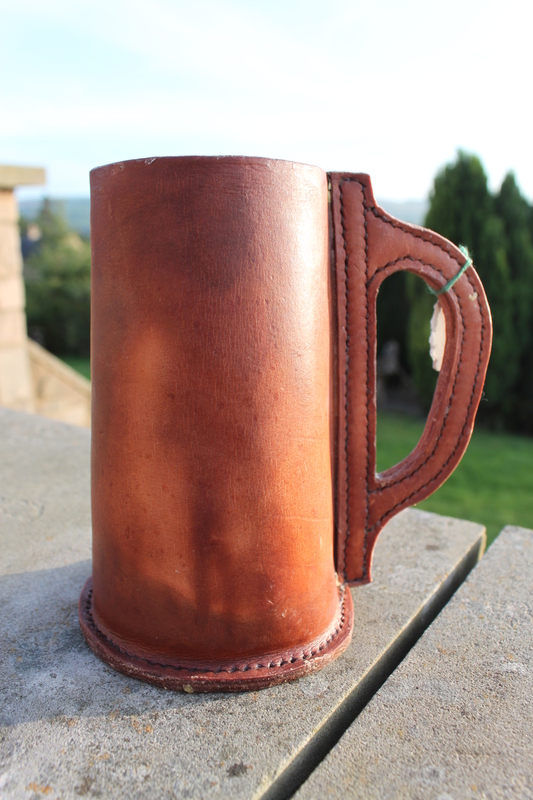 The first One Day Evancliffe Leathercraft Leather Workshops in the Yurt at Hardwick Park will start on the 14th November 2015. Two workshops will run concurrently after sharing a joint introduction. 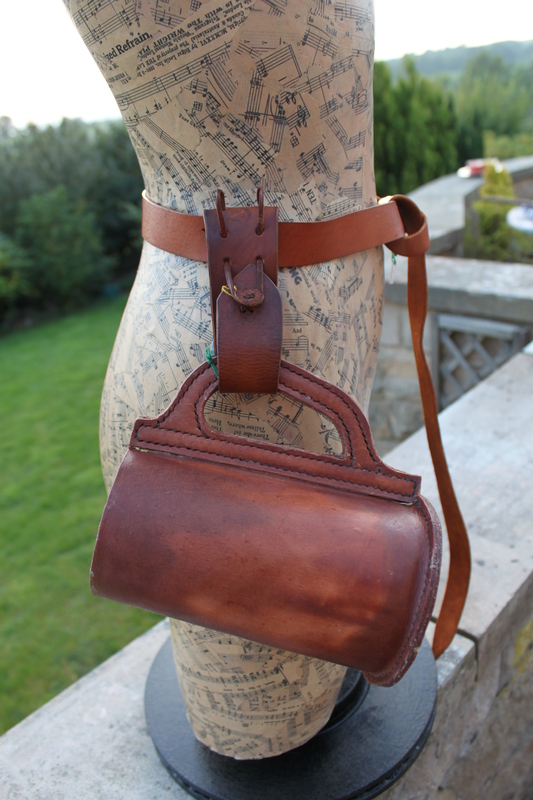 Up to 10 people can take part, with up to 5 people making a Hand Stitched Leather Belt and another 5 people (max) making a Hand Bound Leather Journal. 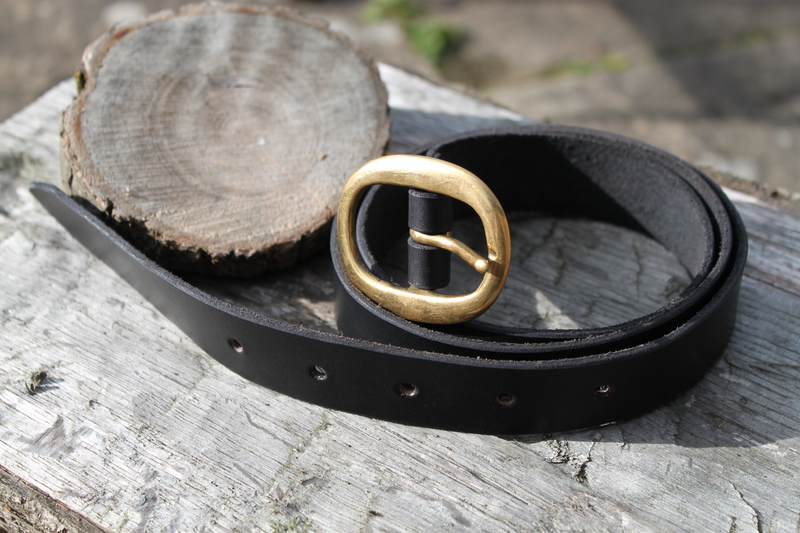 This one day Workshop will introduce you to the principles of hand crafted leatherwork through the making of your own hand stitched, hand dyed, leather belt. A Hands On workshop during which you will learn how to mark out, cut and dye veg tan leather to make a belt. You will then prepare it for stitching and practice the technique of saddle stitch. The workshop will also show you how to burnish the edges of the belt and finish the leather. 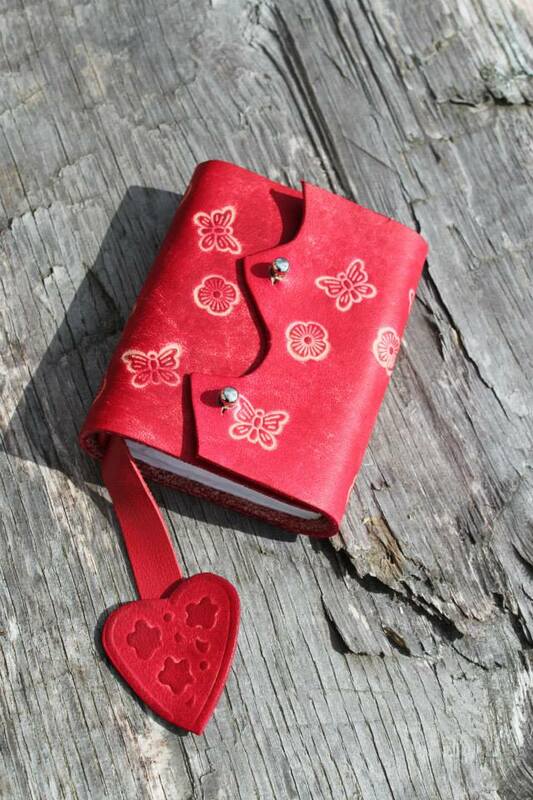 The price includes tuition, use of tools and materials including the leather, buckles, paper etc. dependant on the options chosen. Tea & Coffee will be provided. Please bring your own lunch and any soft drinks / snacks you require, alternatively refreshments are available from the near by Hardwick Park Visitor’s Centre. A new event for Re-Enactors and LARP enthusiasts in the North East of England! Brancepeth Castle is not usually open to the public! Brancepeth Castle is not generally open to the public, so this is a massive opportunity for people to visit this historic north east building. Admission to the event is ONLY £2.50. 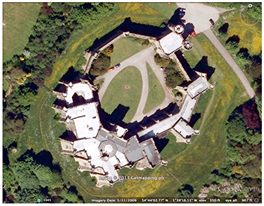 Imagine getting to see a National Trust or English Heritage property for that small an amount! Brancepeth Castle from the air. “The castle was originally founded many centuries ago by the chief of the Anglo Saxon Bulmer family whose last male heir, Bertram Bulmer had a daughter called Emma who married Gilbert De Neuville, a Norman baron who had come to England with William the Conqueror. 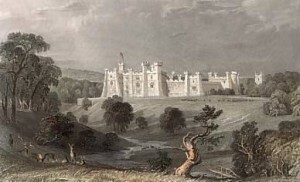 De Neuville’s descendants were called the Nevilles and were the owners of Brancepeth Castle until the sixteenth century. 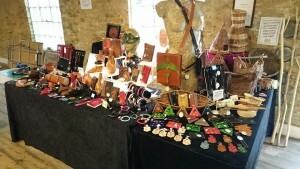 Evancliffe Leathercraft Stall (at a previous event.). 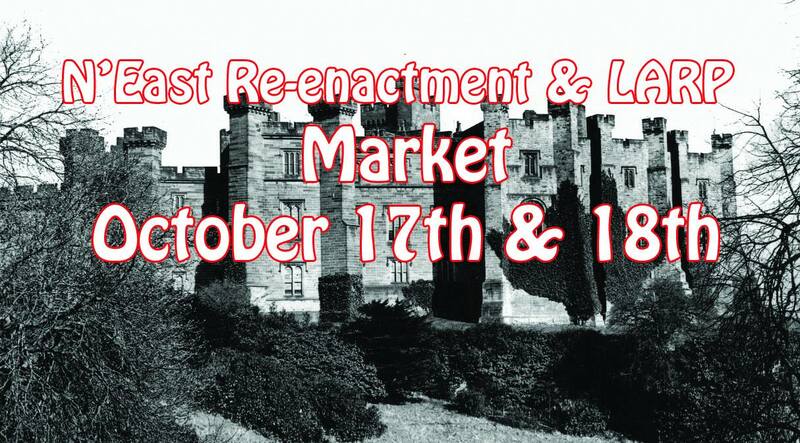 Evancliffe Leathercraft are thrilled to be part of the First North East Re-Enactment & LARP Market at Brancepeth Castle. Like the organisers, we are hoping that this new North East event will become a regular feature on the Re-Enactment & LARP calender. 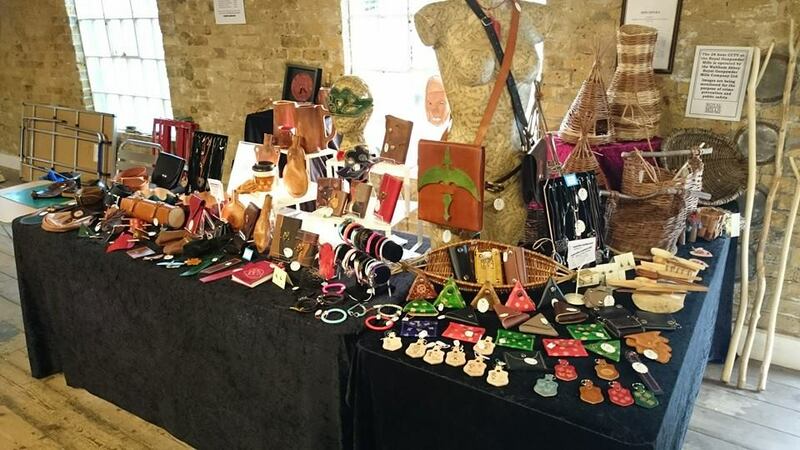 We will be joined by many other traders, a lot of them regulars at numerous other Re-Enactment & LARP events, including the others mentioned above by the same organisers. We are also looking forward to setting up our stall inside a REAL CASTLE! As most of our regular customers will appreciate, most of our leatherwork is made to order. That is, people contact us, tell us their requirements, and we design and make the custom leatherwork to their specification. This means that we don’t usually carry a large range of standard items. We have however developed a small range of popular Re-Enactment & LARP items. These include belts, belt hangers for mugs, weapons etc. as well as water bottles and drinking tankards.